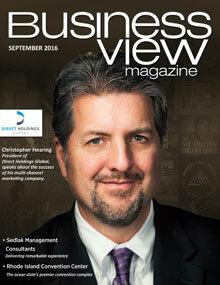 Business View Magazine profiles The Columbus Georgia Convention & Trade Center, the City of Columbus’ main, municipal event center. “It’s a very unique space,” declares David Bevans, the Executive Director of the Columbus Georgia Convention & Trade Center. “Architecturally, there’s nothing close to the experience that people get in here.” By all accounts, Bevans is not exaggerating when he espouses one of the main selling points of the historic and culturally significant building that began as the Columbus Iron Works, became listed on the U.S. National Register of Historic Places in 1969, and today is the City of Columbus’ main, municipal event center. Built in 1853, the Columbus Iron Works was already manufacturing a wide variety of merchandise, including kettles and ovens, brass castings, cast-iron columns and store fronts, sugar, grist, and saw mills, and steam engines to power those mills, as well as the South’s cotton gins and riverboats, when it was called upon to provide cannons and steam engines for the Confederate Army at the start of the Civil War. Burned by the Union army at war’s end, the Iron Works’ stockholders rebuilt and expanded the facility, eventually turning it into the city’s largest and most sophisticated foundry. By 1880, Columbus led the South in textile production, and many of the spindles and looms in its mills were driven by shafts and pulleys provided by the Columbus Iron Works. On April 11, 1902, the Works burned down again. Within the two block complex, only the 1890s foundry survived. Undaunted by this second destruction, the owners built the massive, new facility which remained unchanged for sixty-five years. 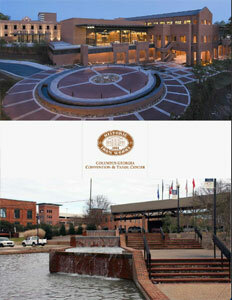 Today, the Columbus Georgia Convention & Trade Center has over 182,000 square feet of floor space and 17 meeting rooms. All its meeting rooms and exhibit halls are equipped with modern lighting and CAT5 enhanced Ethernet connections, and there is Wi-Fi throughout the entire facility. And yet, the old brick walls, the huge wooden beams, and the exposed ceilings, representing the best of 19th century craftsmanship, are intact, creating an ambience rare in modern convention facilities. Bevans believes that while the uniqueness of the Center’s architecture is still a big draw, a major drawback when it comes to booking business is a lack of nearby hotel rooms. “That’s our biggest weakness, right now,” he laments. “Most markets either have hotels attached to the building or across the street and we just have one hotel across the street with 177 rooms. The one thing we do need in our immediate area is more full-service hotel space.” Bevans says the land is available and that the city’s economic development authority is working with the Columbus Georgia Chamber of Commerce to attract a developer to locate another full-service hotel adjacent to, or close by, the Center. In the 19th and early 20th centuries, the old Columbus Iron Works was essential to the economic life of the city. Today, in the 21st, the Columbus Georgia Convention & Trade Center is seeking to play its role as yet another important economic driver of business and commerce in the City of Columbus’ revitalized downtown. Check out this handpicked feature on the Great Columbus Convention Center in Ohio.